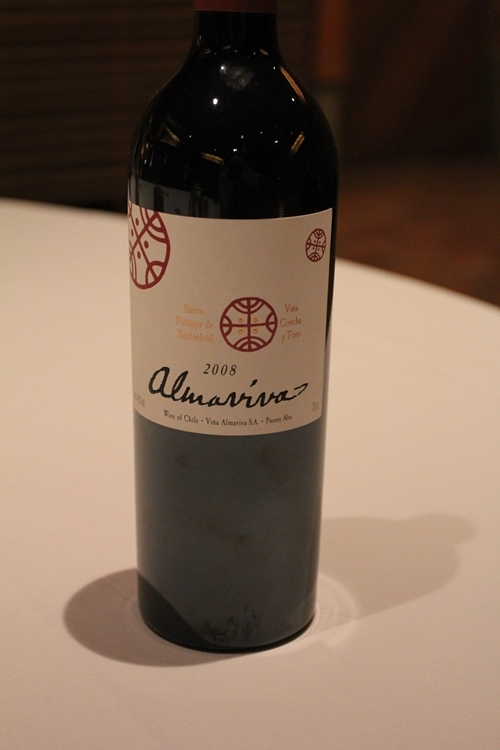 Almaviva was established in 1996, as a joint venture between Concha y Toro and Philippe de Rothschild of Château Mouton-Rothschild. Combining 40 hectares of Concha y Toro’s finest Puente Alto vineyards with the extraordinary winemaking-skills of Patrick Leon (former winemaker at both Opus One and Mouton) has created something truly astounding. 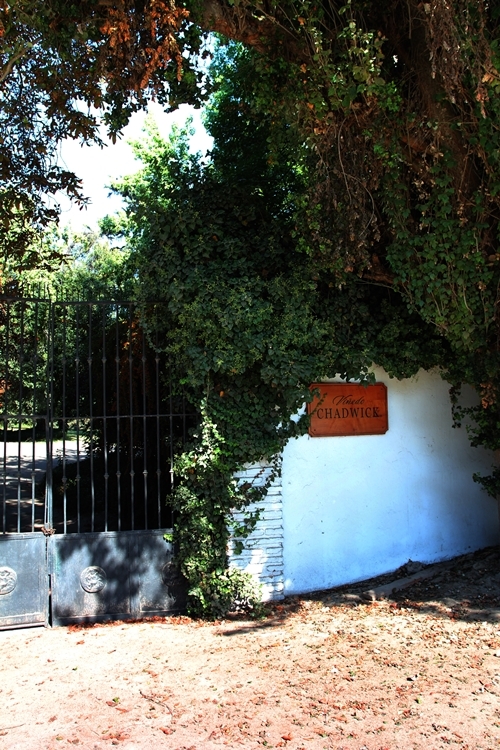 Here the entrance to the vineyards and Estate that once supplied Concha y Toro’s Icon “Don Melchor”. 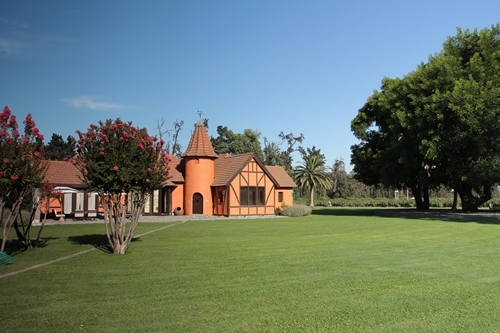 Puente Alto is a subregion to Maipo and it is positioned surprisingly close to Santiago. 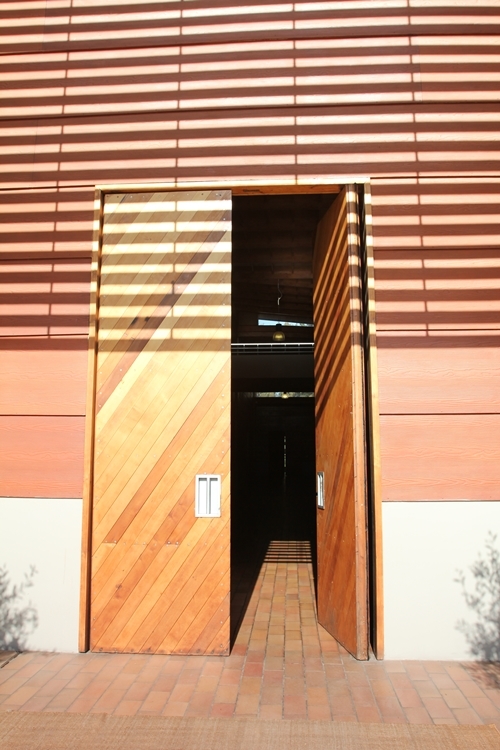 The unique vineyard is tended with an immense attention to detail and care. It resembles more a royal garden than a farm. 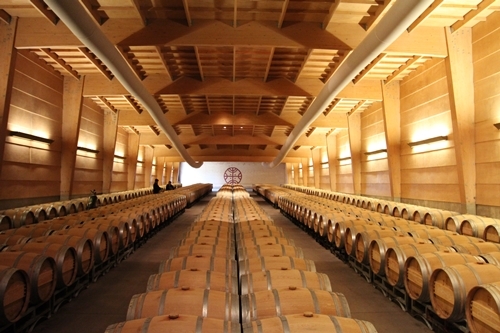 It has moreover been developed with prime viticulture, as the revolutionary underground irrigation system. 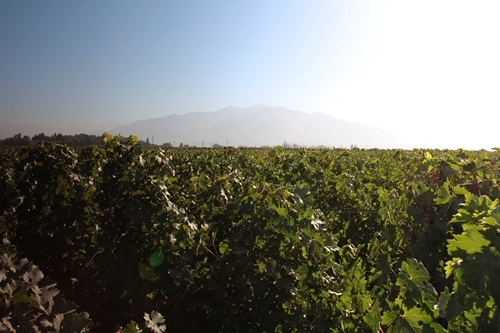 The terroir is regarded among the best suited for Cabernet Sauvignon. The explanation is found in its stony soils with low levels of potassium, the cold wet winters, and a summer with hot days and cool nights. 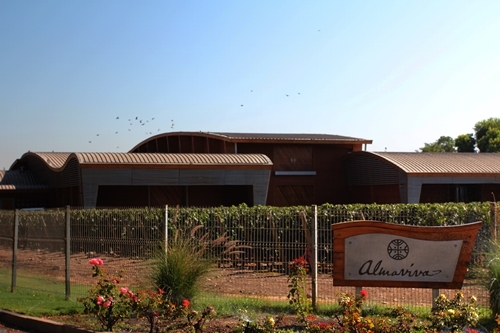 Almaviva is made from a total of 85 hectares of vineyards. The blend is made of Cabernet Sauvignon and Cabernet Franc from Puente Alto in Maipo and Carmenère from Peumo, a subregion of Rapel. 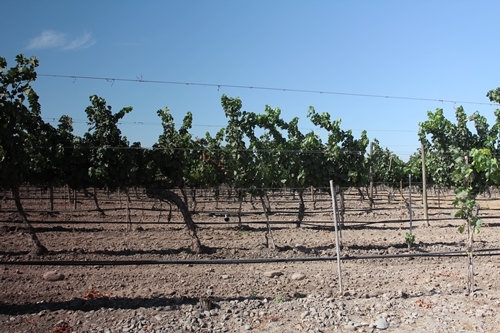 The Puente Alto vineyard includes both old vines planted by Concha y Toro back in the 70s and newer replantings; to keep the highest possible quality. 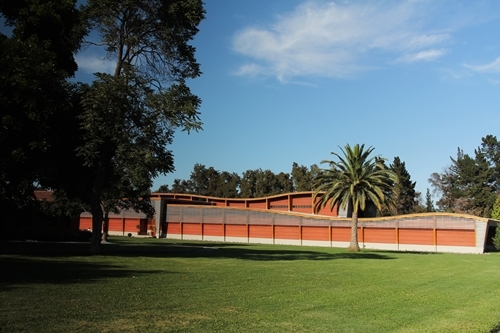 Their winery was designed by the Chilean Architect Martín Hurtado. He is known for his sustainable wooden structures, often of recycled materials. Almaviva is no different and has many of his traits incorporated. 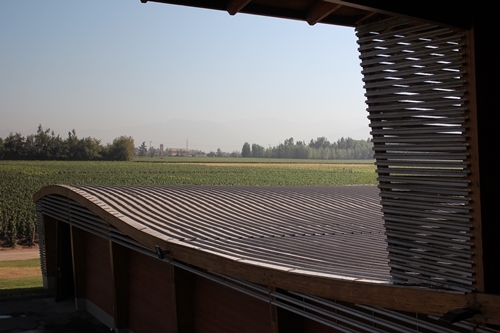 The clever design reflects its surroundings and it is inspired by both the Andes, the native people of Chile, and the wine barrels it keep inside. The iconic villa still sitting on the grounds is when not under renovation used for hospitality and representational events. 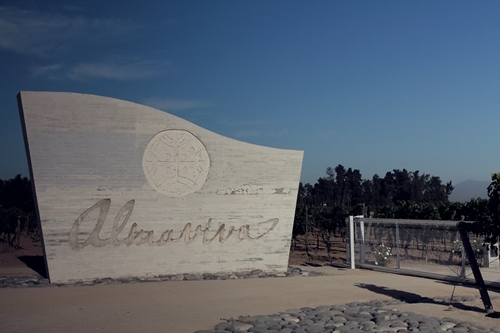 A big part of the Almaviva story and its decoration is honoured to the native peoples of Chile and the Mapuche culture. 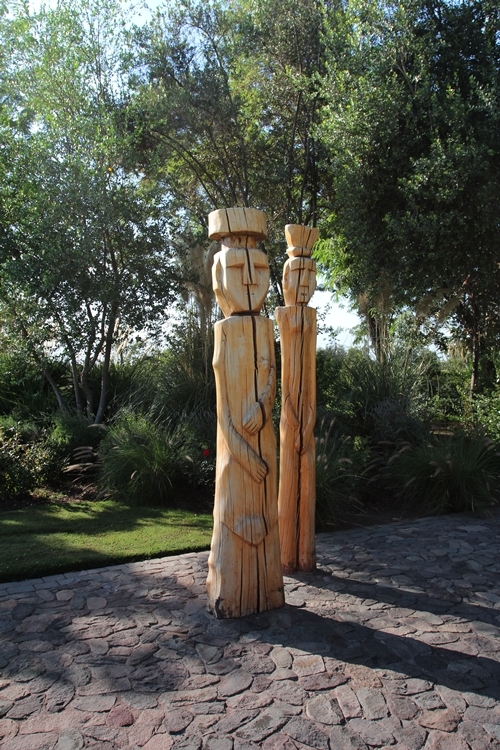 Here we see two totem poles that are part of the Mapuche cosmology; representing the archetype of the man and the woman. The surrounding gardens are also kept in an immaculate condition. Clearly a door is not just a door. This example is made of recycled oak from old retired barrels. 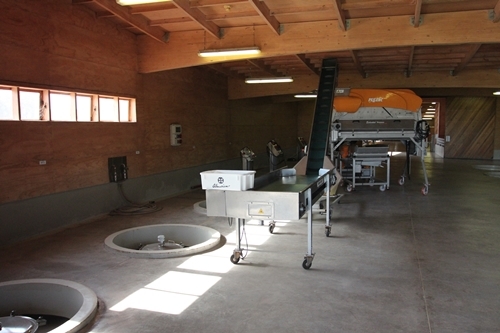 A fine selection of state of the art equipment is found on the receiving floor of their gravity flow winery. View from the receiving floor. 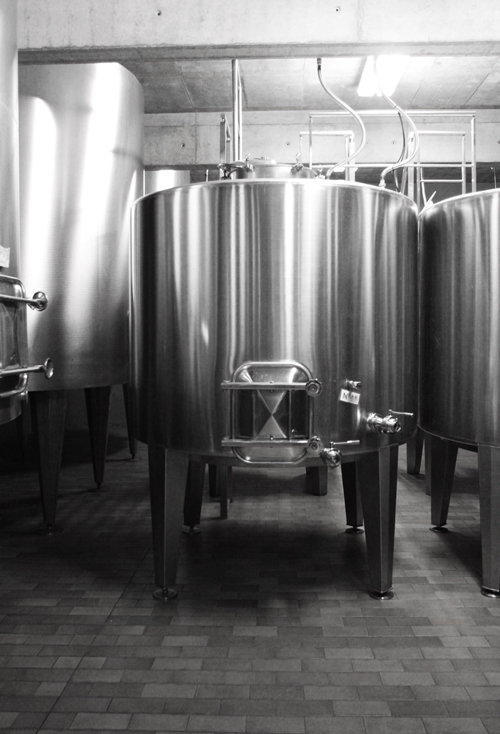 A couple of small tanks have made their way into the winery, and make a cute contrast to the bigger versions they stand next to. 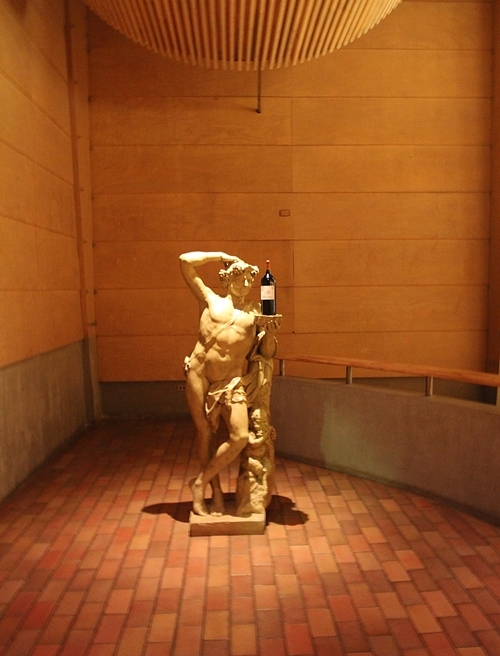 Bacchus, the god of wine, does for decoration and a little humour in the barrel room. The silence and intense concentration creates a powerful calm ambience. 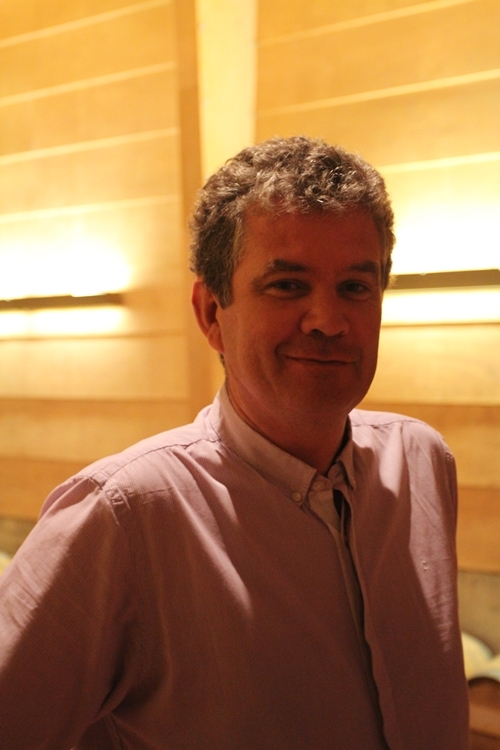 Michel Friou was named Almaviva’s winemaker in 2007. He follows Tod Mostero (2004-2007), Enrique Tirado (2004), and Patrick Leon (1996-2003). Friou was moreover head winemaker at Lapostolle from 1994-2004, and he has played a significant role for Chile’s fine wine industry. 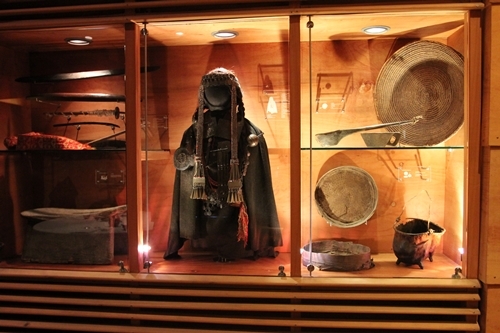 Their tasting room is also furbished with artefacts from the Mapuche Indians. An intoxicating intensity of aromas spread through the room when the glass lid was lifted. We sampled the 2008 vintage. It is an extremely complex and elegant wine of intense density and texture. Simply outstanding! 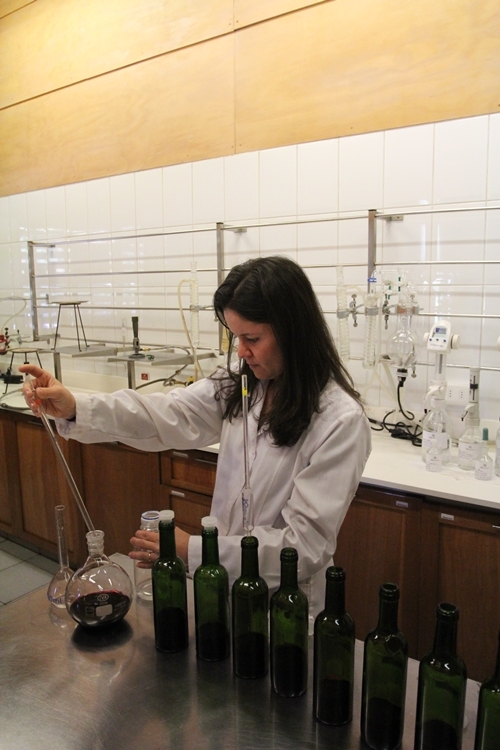 And the Carmenère is so well integrated! 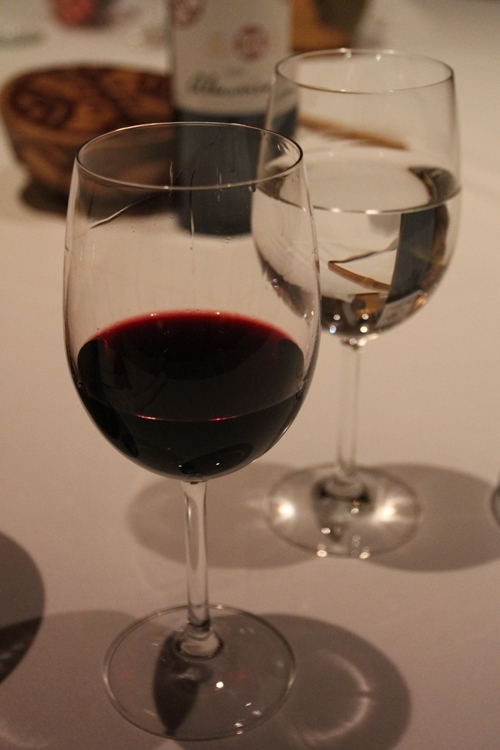 2008 is a blend of 66% Cabernet Sauvignon, 26% Carmenère, and 8% Cabernet Franc. Aged 18 months in new French oak. 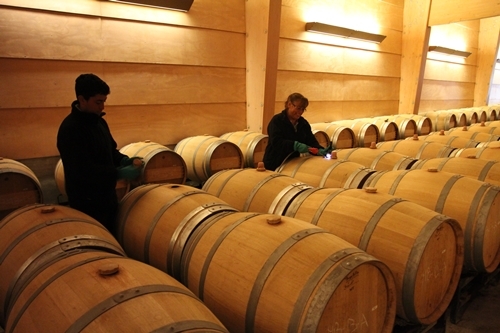 The vintage is marked by atypical climatic conditions. An exceptional cold and dry winter, as well as a very hot summer and a prolonged season resulted in low yields and superb quality. A glimpse inside their laboratory. 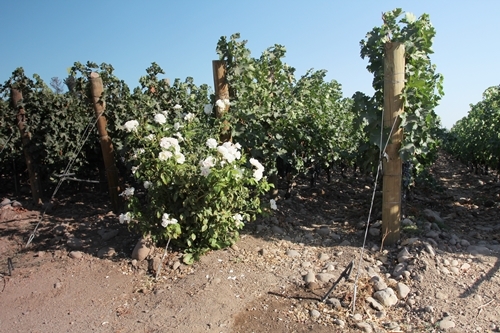 Behind the winery you can see examples of the newer replantings, which stand in-between the old majestic Cabernet vines. Here the winery is captured from the south. Almaviva neighbours Viñedo Chadwick and Don Melchor. The Puente Alto terroir has become extremely valuable and it is to no surprise now gated and walled in. 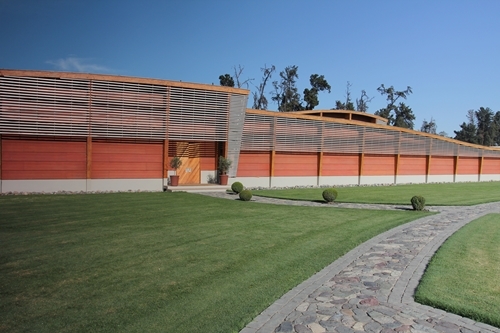 The small subregion house spectacular vineyards, which produce some of the country’s finest wines.